Choosing the right stereo speakers is essential to getting the best possible sound quality from your stereo system. 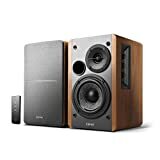 But with so many different types of stereo speakers available – from versatile bookshelf speakers to floor-standing models that deliver booming sound – selecting the right pair of speakers can be overwhelming. Fortunately, choosing the best speakers for your needs is easy – if you know what to look for. This buying guide will help you understand all of the terminology surrounding stereo speakers so you can make an informed purchase. 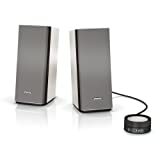 Depending on your budget and your music listening habits, you may not need a top-of-the-line set of speakers. 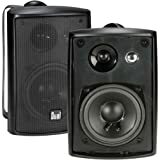 That said, there are certain considerations that should be taken into account when shopping for a quality pair of stereo speakers – specifically, the speaker type, sensitivity, and frequency response. 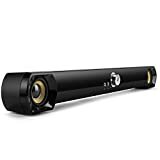 Speaker type – There is a wide variety of wired and wireless speakers to choose from, including bookshelf speakers, floor-standing speakers, in-wall speakers, portable speakers, satellite speakers, subwoofers, and sound bars. Which type of speaker is best for you depends largely on personal preference, but in general, larger speakers work better in larger spaces while small speakers are better suited to smaller rooms. Sensitivity – A speaker’s sensitivity rating indicates how effectively the speaker converts power to sound. The higher the rating (measured in decibels), the louder the sound produced with any given amount of amplifying power. A speaker with a sensitivity rating of 85 dB, for example, requires more power to produce the same volume of sound as a speaker with a rating of 88 dB. Frequency response – The human ear is capable of hearing sounds at frequencies between 20 to 20,000 cycles-per-second, or Hertz. A speakers frequency response determines how much of this frequency range can be reproduced. 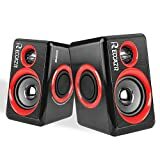 If you don't have an account on our forums, you can use this comments section to share your issues, solutions, or any ideas related to the “The Best Computer Stereo Speakers of 2019” topic.